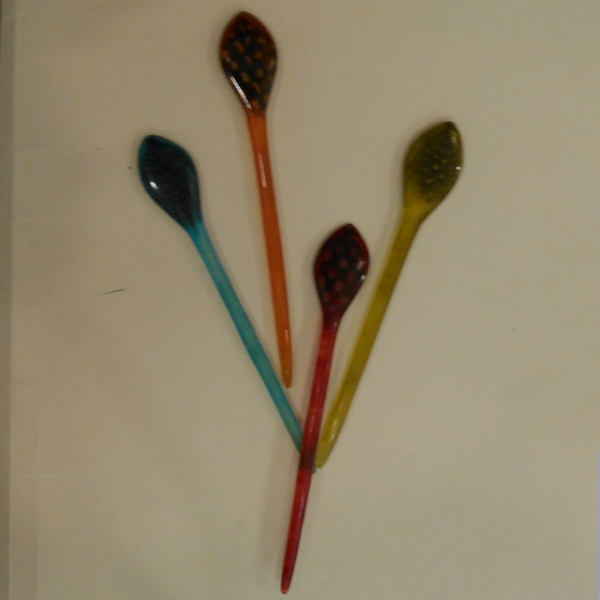 These resin laying tools look like glass - but don't shatter. Use these to smoothe out threads and make your stitches lay flat, essential for long stitches in ribbon. Price for one. Let us pick the color or call the shop 650-321-3494.